1. Balanced Budget : - Balanced budget is a situation, in which estimated revenue of the government during the year is equal to its anticipated expenditure. 2. 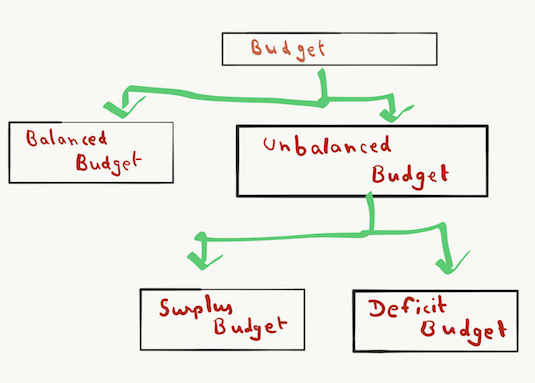 Unbalanced Budget : - The budget in which income & expenditure are not equal to each other is known as Unbalanced Budget.